A natural under eye concealer for minimizing dark circles and puffiness. Conceals Under Eye Circles: The superior coverage of titanium dioxide helps to mask dark circles and brighten the eye area, creating a beautifully cohesive look. Reduces Under Eye Puffiness: As an under eye treatment, this unique formula includes a proprietary blend of certified organic ingredients including organic marshmallow extract, known for its ability to reduce puffiness and increase micro-circulation. Anti-Aging: This beautifully creamy formula is also infused with organic white tea extract, known for its extremely high antioxidant capacity to inhibit enzymes that attack collagen and elastin, and mimic the action of one of the body’s own antioxidant enzymes, preventing fine lines and wrinkles. Dot concealer under the eye from the corner outward according to need and use your ring finger pad to press and roll the concealer into the skin. Makeup Artist Trick: Pop a bit of Perfecting Under Eye Concealer on your upper eyelid to brighten your lid to the brow bone. This will serve as a wonderful base in preparation for your eyeshadow application. Tip: This product also double-times as an overall face concealer. Use a concealer brush to touch up around your nose, touch up redness, spot conceal and brighten up the corners of your mouth. 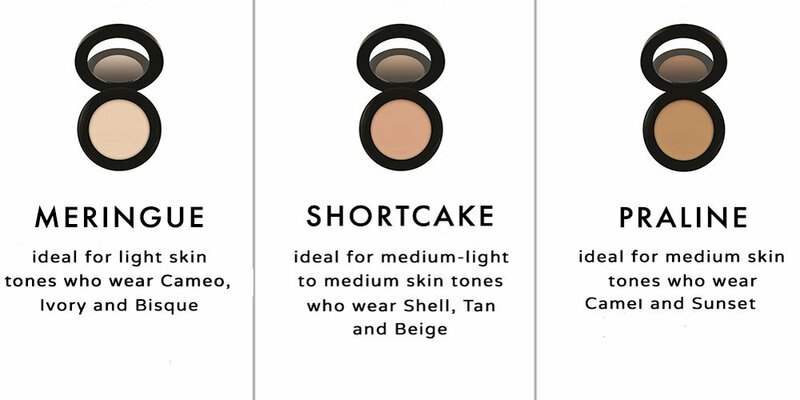 Product Suggestion: Use a setting powder over the Perfecting Under Eye Concealer to set the concealer and offer all-day dark circle coverage. This concealer is for dry and mature skin.